“Hamilton” rose up to become the hottest ticket on Broadway this season, taking the industry as a whole to new heights. Broadway officially ended the 2015-16 season by setting a record in attendance (13.32 million) and grosses (more than $1.3 billion), according to The Broadway League. The attendance figure, a 1.6% boost over the previous season, topped the crowds drawn by all the city’s sports teams combined. Lin-Manuel Miranda and his crew are, without question, the stars of the show. 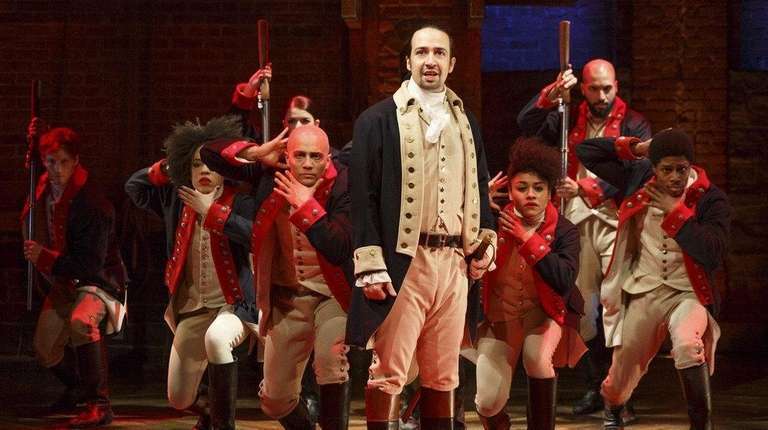 His Tony-nominated hip-hop historical musical earned more than $1.7 million last week alone and continues to attract huge crowds. Michael D’Angora, a theater promoter and producer, said it’s been a long time since a musical has gotten so much buzz. Surprisingly, given the mind-boggling price of tickets for “Hamilton,” the average paid admission went down slightly from $104.18 to $103.11, the first decrease in recorded history. The spike in grosses and attendance overall comes at a slower rate than the previous season’s dramatic increases of 7.6% and 7.3%, respectively, which resulted in a record year as well. Izzy Pete, 29, who was visiting New York this week with his wife from Germany, said he felt enticed to see a show just by the huge amount of promotional dollars being poured into the industry throughout the city. “We just had to go see what it’s like,” he said. Two, “Hamilton” and “On Your Feet!” opened this season. “This has been a truly extraordinary season on Broadway and the talent is exhilarating,” said St. Martin.